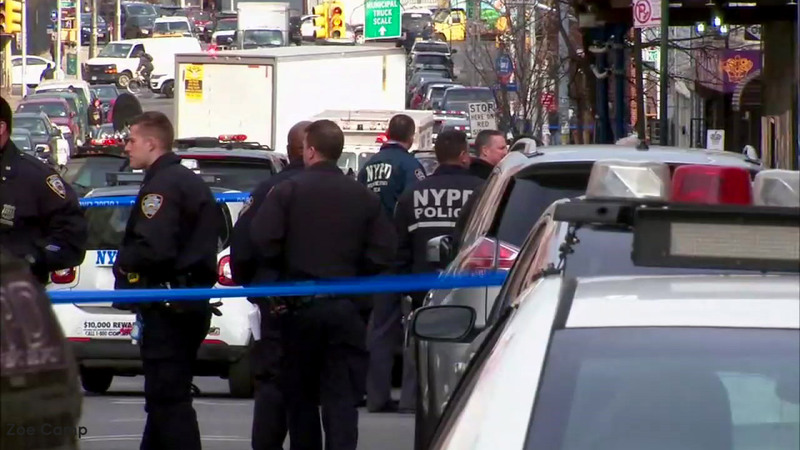 GREENPOINT, Brooklyn (WABC) -- The man who was allegedly shot by a retired NYPD officer in Brooklyn on Monday has died from his injuries. Police are still investigating the nature of a dispute at the apartment building that led to the shooting of 45-year-old Joseph Stepinski. It happened around 2:30 p.m. Monday, on Greenpoint Avenue near the intersection of McGuinness Boulevard in the Greenpoint section, police. Sources tell Eyewitness News Gene Barrett, 51, allegedly shot his landlord in the head outside the building where Barrett lives. He has been charged with attempted murder, robbery, assault, burglary and menacing. Those charges are expected to be upgraded. Luis Andino spoke out for his friend and ex-police officer. "He says his landlord hired people to do bad things to him, so he would leave the neighborhood so his rent-stabilized apartment would be given up," said Andino. Stepinski's girlfriend has lived in the same apartment building as Barrett for 13 years and has an ongoing dispute with the suspect, police said. The victim has been her boyfriend for about two years and by extension, was becoming involved in the disputes. Barrett retreated into her apartment after the shooting, holing up there for nearly an hour. Police said he took the Stepinski's keys and cell phone from his pocket, then ran back into her apartment. The victim's girlfriend heard something was going on and called the cell phone. The suspect answered and told her to come home, where she found the shooting scene. Barrett was taken into custody following a tense standoff, during which police officials say he pointed a gun at an NYPD lieutenant through a window, and then barricaded himself. Barrett allegedly shot Stepinski as he was taking out his trash. The nature of the latest dispute remains unclear, although it is generally believed to be issues over parking, and accusations about neighbors deflating his tires and cameras watching him at all times. The suspect has filed at least 12 complaints about his neighbors with police. None of them has amounted to anything. The owner of the building told detectives that Barrett has been a problematic tenant and that he calls repeatedly claiming there are bed bug infestations, leaks and is generally combative. Barrett left the NYPD on disability in the summer of 2002. Police found two firearms on him.